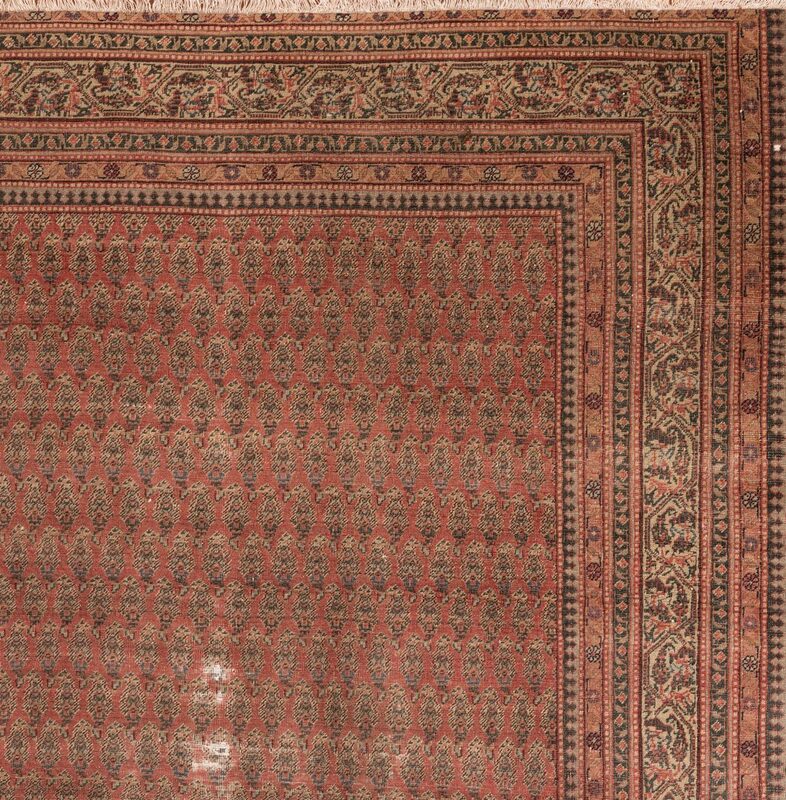 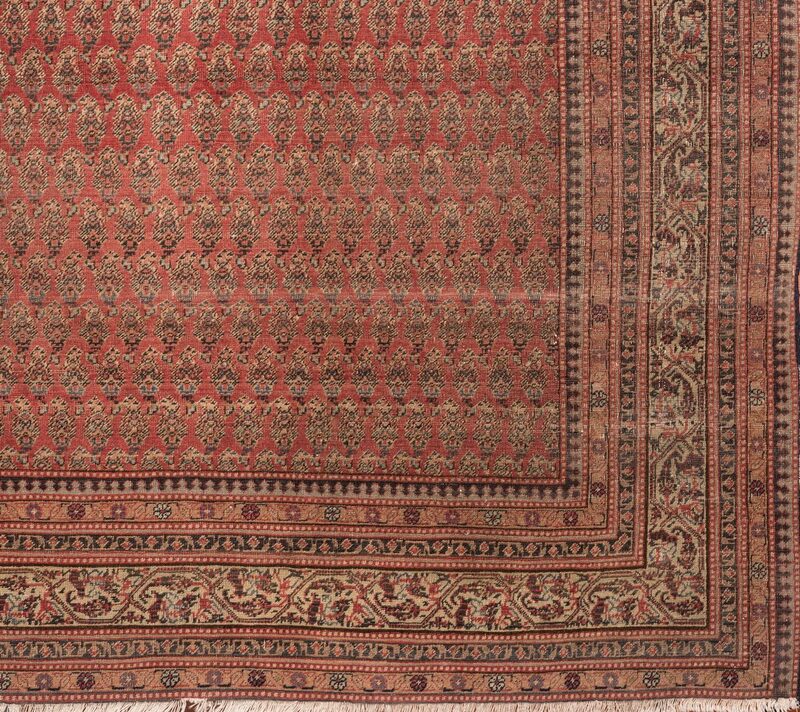 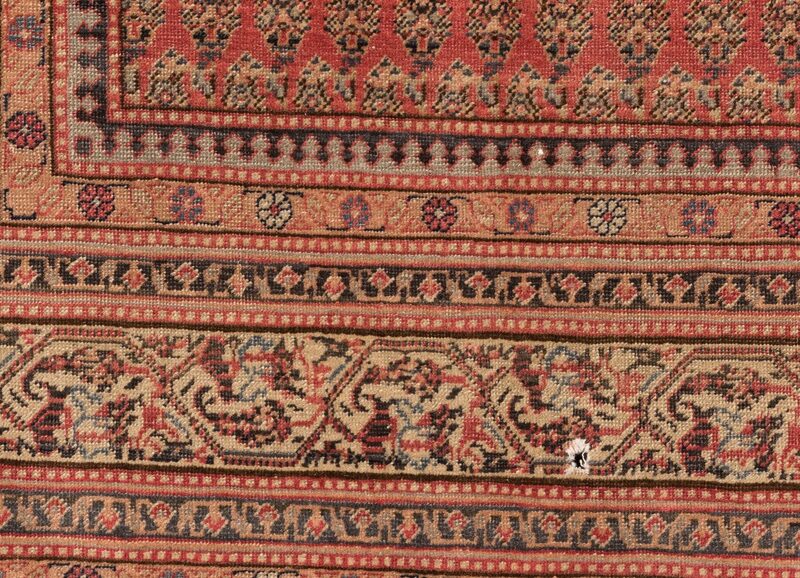 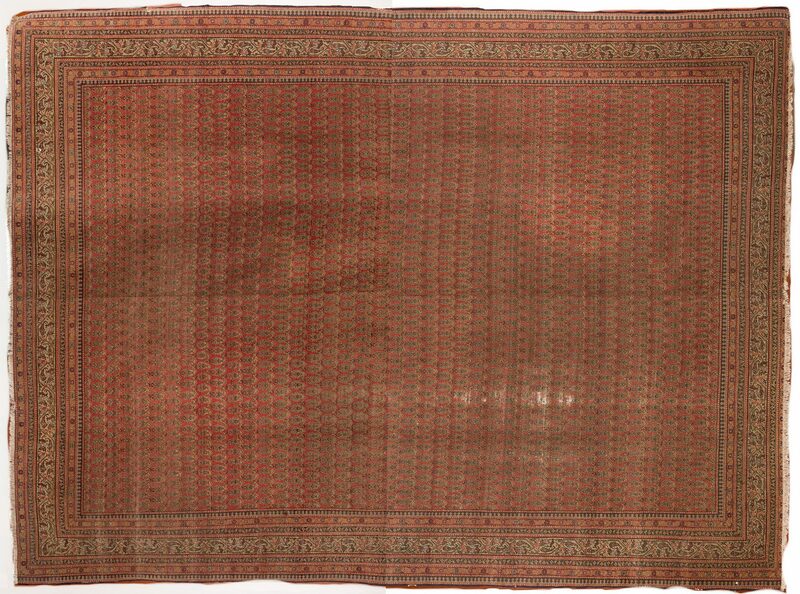 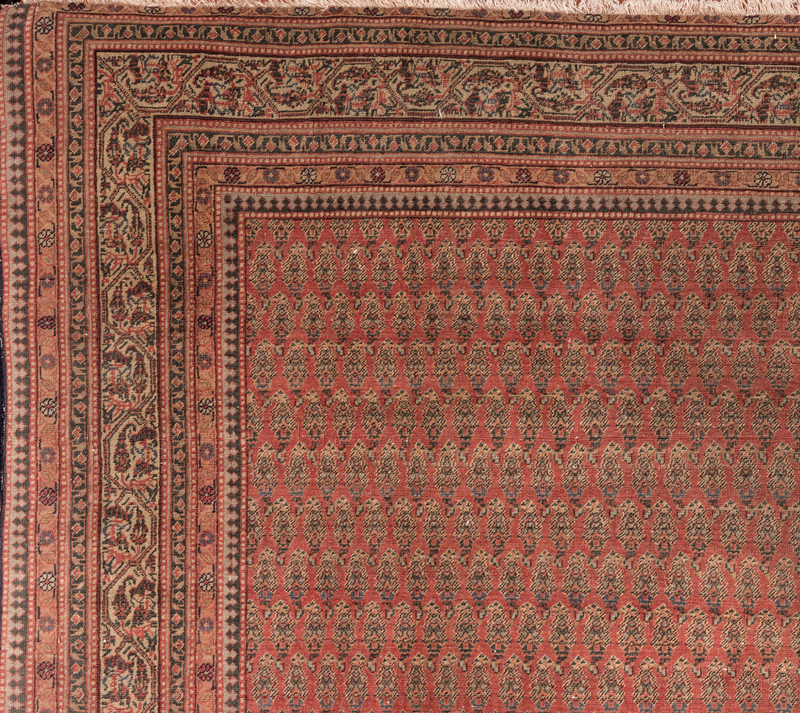 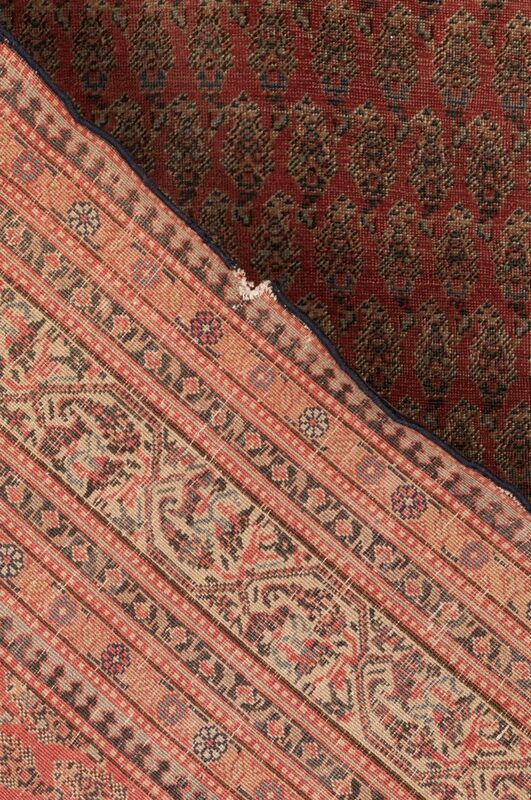 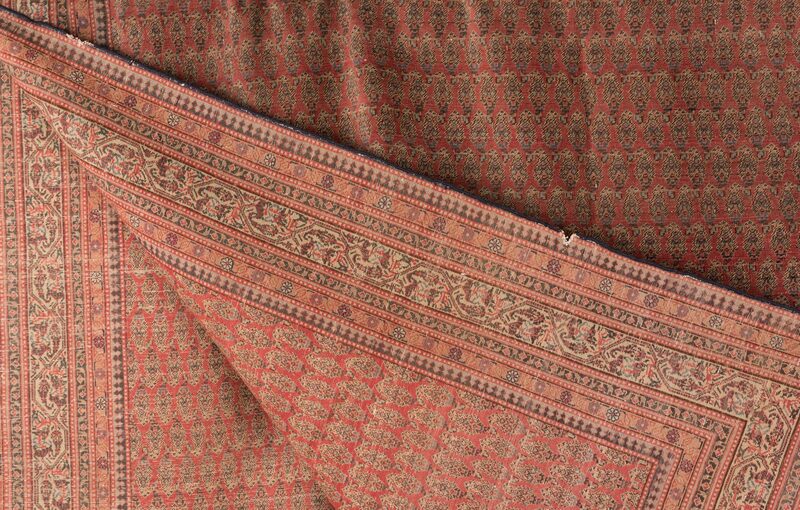 Antique Persian Saraband carpet, 10 ft. 9 in. 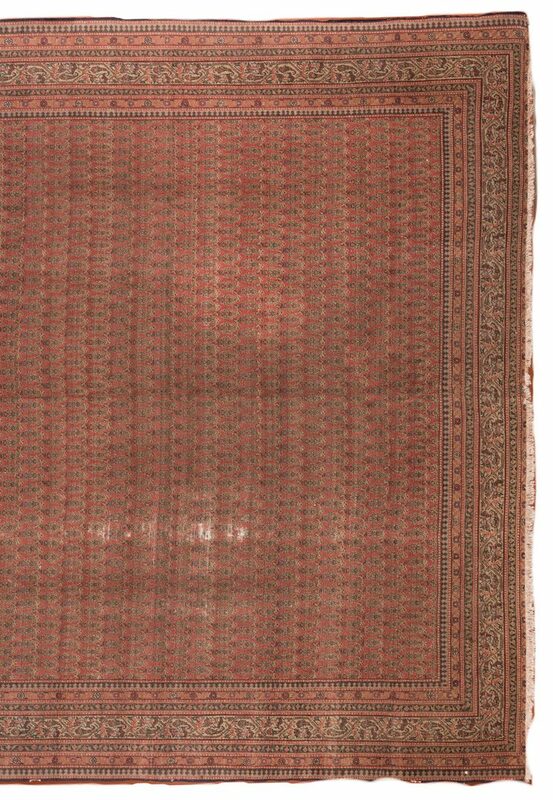 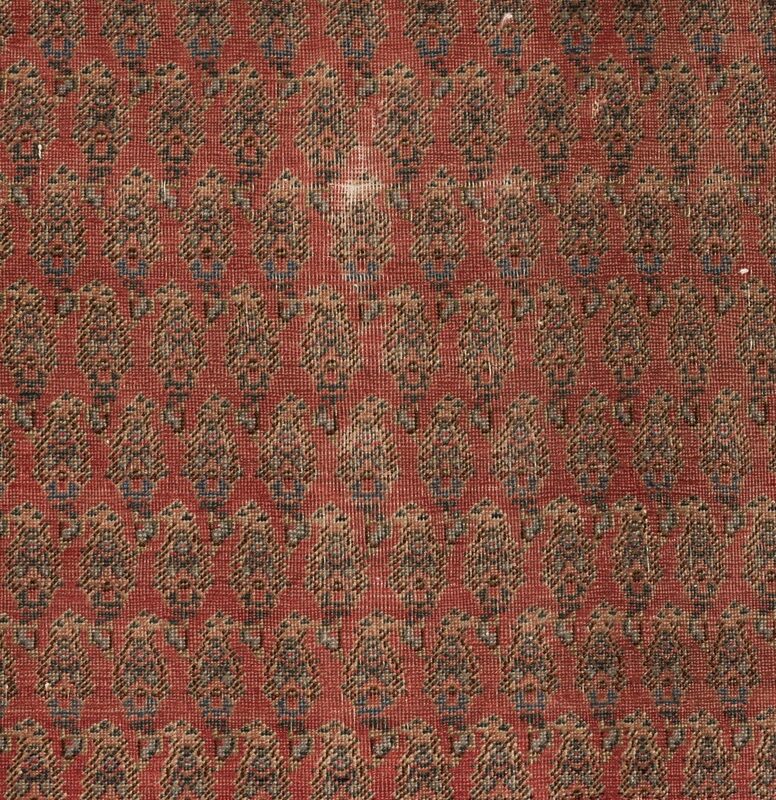 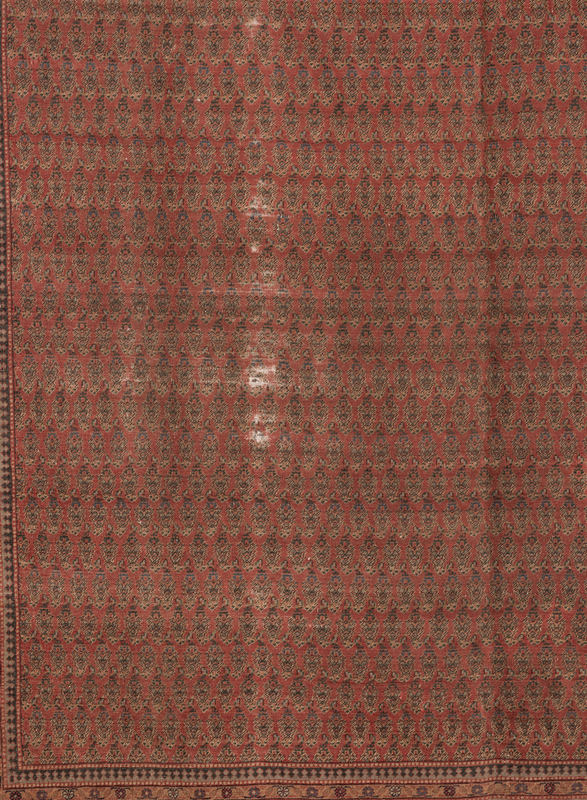 x 8 ft., wool on cotton, with repeating design on a salmon field, secondary colors of green, taupe, blues and grey. 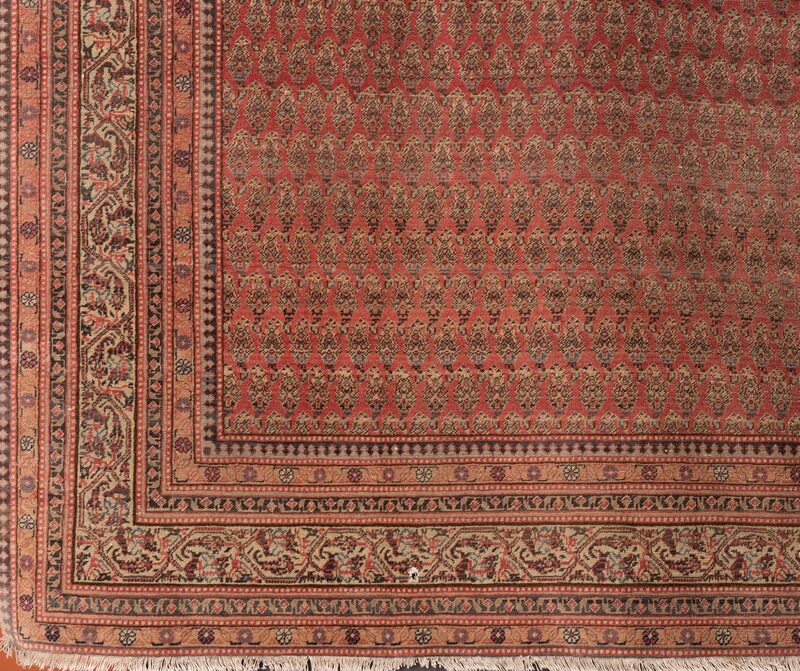 Persian, 1st quarter 20th century. 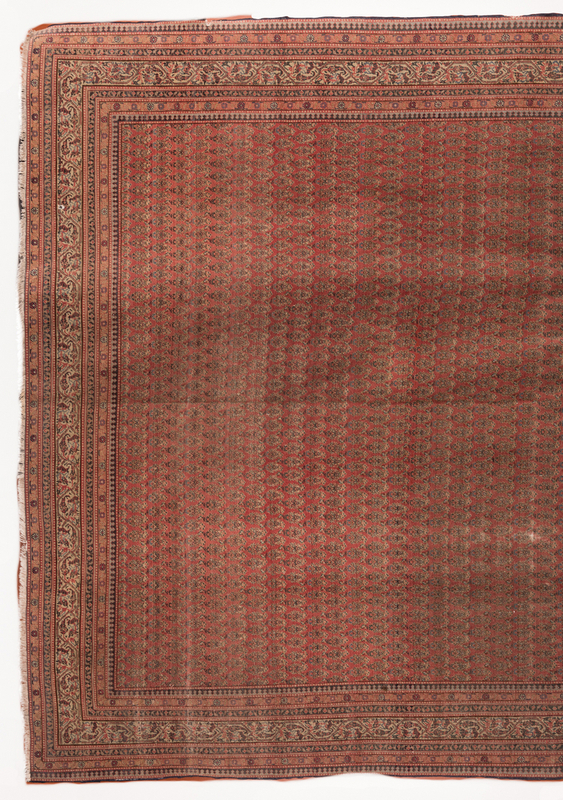 CONDITION: General corduroy wear. Some areas of wear to warp and weft, 1" to 2-1/2" L. One 3/8" hole located 7" from one end. Losses to borders and scattered wear on edges, 1" to 3" L.